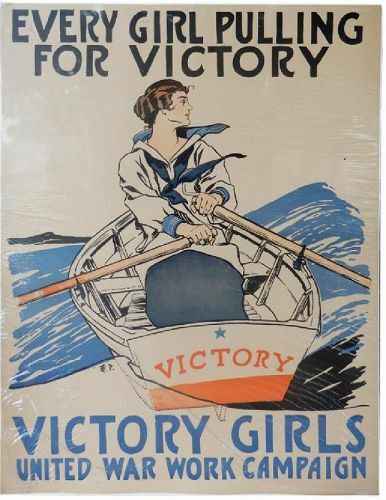 DESCRIPTION: E. (Edward) P. (Penfield) WWI patriotic lithographic poster, "Every Girl Pulling for Victory", featuring a young woman rowing a boat named “VICTORY.” Caption at base reads, “VICTORY GIRLS, UNITED WAR WORK CAMPAIGN.” Signed lower left; very good condition, no fading or defects visible. 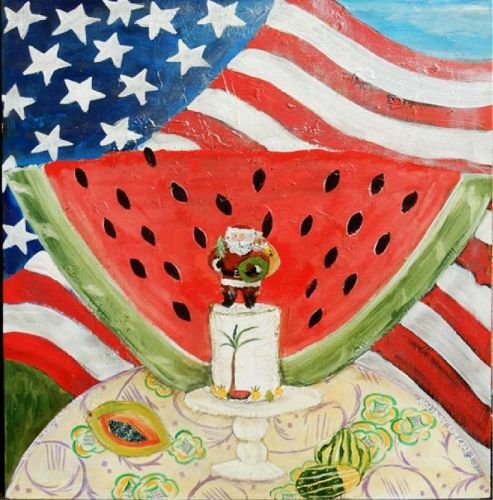 DIMENSIONS: 27 1/2" H x 22 1/4" W.
DESCRIPTION: A colorful, contemporary folk art oil painting featuring a slice of watermelon, a small Santa figure, and various fruits and vegetables all arranged on a flowered tablecloth. A large American Flag serves as a dynamic backdrop. 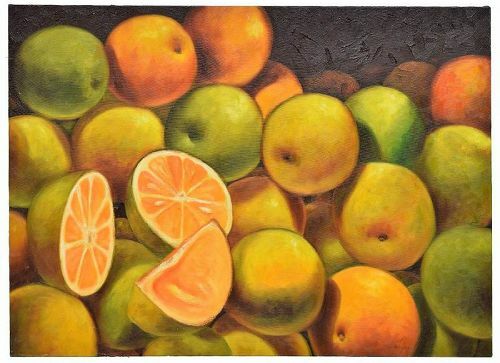 Signed lower left, “Nancy Thomas, 2003” and lower right, "Holiday Special." CONDITION: No visible defects. 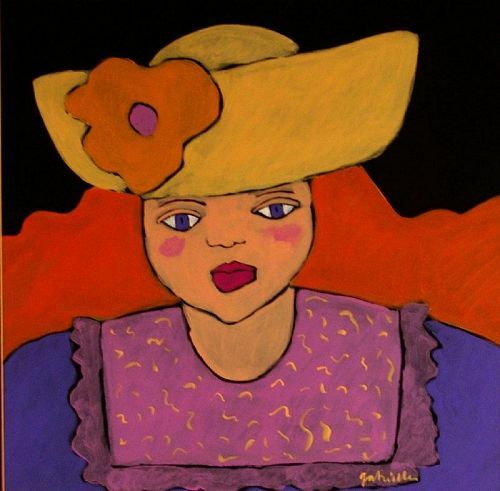 DIMENSIONS: Sight size 48" x 42", unframed.